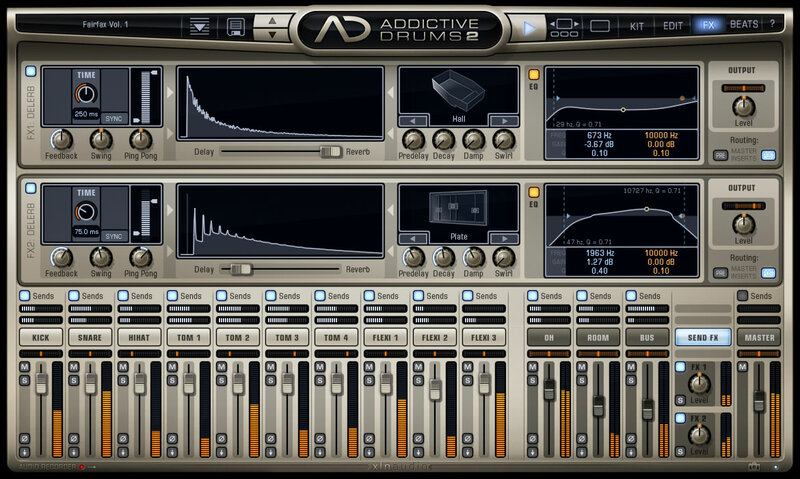 XLN Audio has launched Addictive Drums 2, an update to the virtual drum instrument for Windows and Mac. With Addictive Drums 2, we’re taking it to the next level. More world-class instruments, more amazing sound shaping features, more tools for rhythm creation and transformation, and total freedom to pick only the kits and add-ons that are right for you. All this while maintaining the fast, clean, musician-centric interface that made us successful in the first place. We hope you’ll love what we have made. New Transient Shaper gives more or less ‘snap’ to individual kitpieces or your overall drum mix. Two Delerb processors combine Delay and Reverb effects that are ideal for drums. A unique ‘Swirl’ thickening feature and advanced EQ give sound designers lots of exciting new options. Specialty “Trigger” Kitpieces (sine waves, white noise, one shot drum samples, etc.) open up a world of new sound design options. 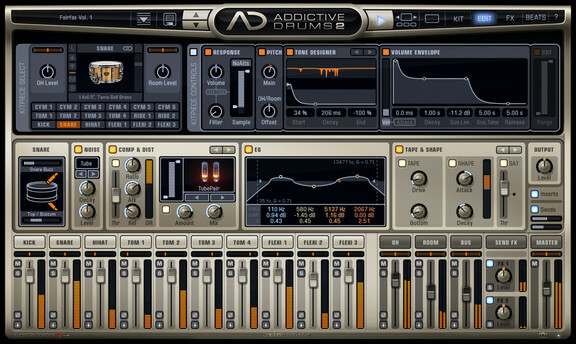 You can link them to acoustic drums to give more “oomph” or even use them on their own to create new analog and digital drum machine sounds! New 4 band EQ with additional Low and High cut controls. 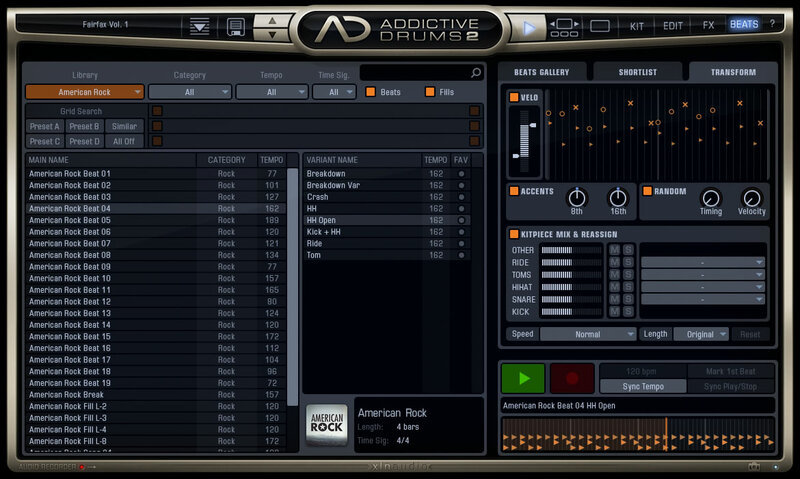 The Record MIDI feature saves time by letting you record MIDI directly from your host software into Addictive Drums 2. 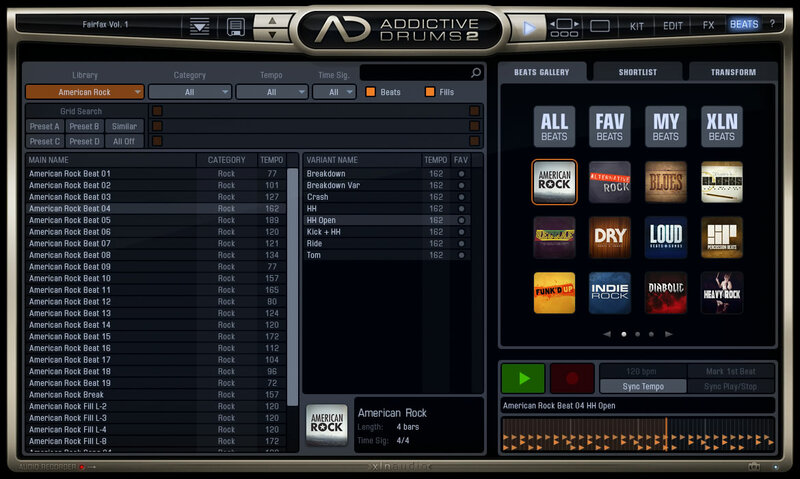 Addictive Drums 2 is available for purchase in three bundles with ADpaks, MIDIpaks, and Kitpiece Paks, starting at 149.95 EUR. All ADpaks (including the newly released Fairfax Vol.1) are now powered by the Addictive Drums 2 engine, and are available for purchase for 79.95 EUR each.